All softeners have either one or two cylinders. Inside these cylinders are millions of resin beads that have the appearance of granulated brown sugar. As hard water passes through the cylinder, the resin beads attract the hard materials from the water. This results in softened water leaving the cylinder. The resin beads can only extract a certain amount of hardness from the hard water before they become exhaused or full. After a period of time or a given amount of water (depending on the softener) the resin beads need to be cleaned, this process is called regeneration.  It is automatic and involves a small amount of brine solution (common salt dissolved in water) being passed through the cylinder and removing the hard materials from the resin beads. All water involved in the regeneration process does not enter the household system, it is flushed away into a drain. The cylinder is now ready again to produce softened water. Thanks for filling out form! We will get back to you very shortly.